Clubs could get their hands on a share of £4,000 before Christmas just for helping out their local community. 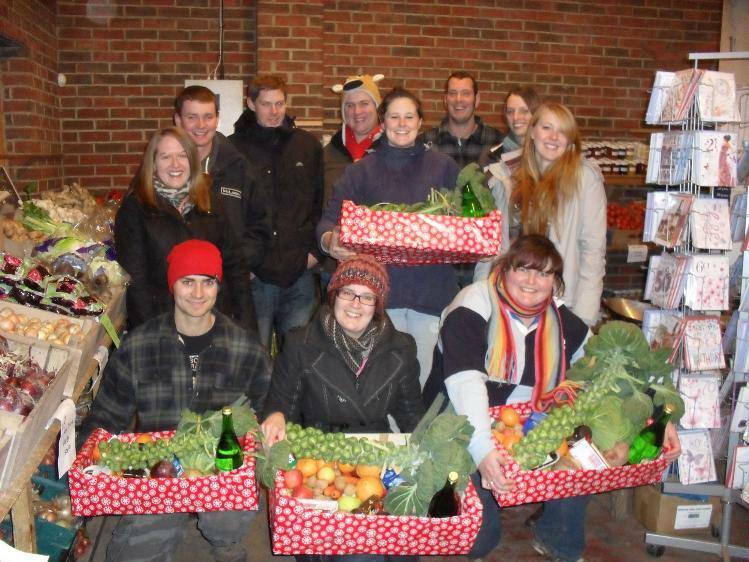 Over the festive season, NFYFC is encouraging clubs to organise community projects and they will give them up to £400 to help them put their plans into action. Thanks to funding from the Cabinet Office and the Pears Foundation, NFYFC has a pot of money to dish out every quarter of the year to five YFCs that deliver community projects. The campaign, called the Countryside Challenge, is a great way for clubs to get much-needed funds to help them support projects locally. NFYFC is waiting for applications for this quarter and your club could be one of them that receive £400 for doing a good deed. Many clubs have planned activities already – but they can still apply for funding too! Your ideas could involve car boot sales to raise funds for a local charity, supporting older people in the local community, putting on a nativity performance involving your members, or major carol singing sessions. Sedgefield YFC has already successfully applied for funding to help them host entertainment evenings in nursing homes around the local area over the Christmas season. They are hoping to cheer up residents who may be feeling lonely at this time of the year. The Club plans to measure its success by surveying residents after their entertainment to see if they enjoyed the experience. If it’s a success, they will deliver more entertainment evenings to other care homes and they are looking to involve more young people in their activities too. If you have an idea for a community project for your YFC that you would like to receive funding for, why not apply now for NFYFC’s Countryside Challenge? All the information you need to get started is online and NFYFC also offer resources to help you get your mission off the ground. NFYFC has joined the Rural Services Network to keep up to date with rural opportunities for young farmers, including available funding. As part of the organisation's membership, the Federation receives a monthly bulletin, which highlights new opportunities and NFYFC will be highlighting these to members. Sarah Palmer, NFYFC AGRI said: "There are many rural funding and collaborative opportunities for everyone to take advantage of and as a member of the Rural Services Network we can share these with members." October's Rural Opportunities Bulletin shares news on a wealth of rural funding and grant opportunities some of which will be relevant for YFCs. For more information you can read October's Bulletin here. 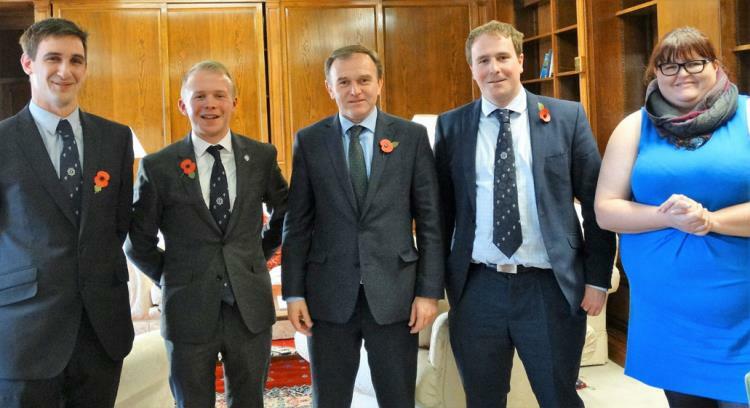 Young Farmers ensured their views would be considered as part of any future British Agricultural Policy when they met with the Farming Minister George Eustice in November. The members, who are all part of NFYFC’s Agriculture and Rural Issues Steering Group, arranged a meeting with Defra to discuss the findings from the Federation’s post-Brexit survey. Members had also gathered additional input and opinions from the Know Your Future Market Forum held by NFYFC in October. The Defra meeting was an insightful trip to the capital and a chance to highlight what young farmers would like to see in a future British Agricultural Policy. AGRI Chair Sam Dilcock said: "The opportunity of meeting the Minister to discuss young peoples’ views and opinions was absolutely fantastic. It is very pleasing that government is taking seriously the ambitions and goals of the younger generation who will have to deal with the impacts of future policy and practices the longest. “As a forward thinking and innovative generation, we are very grateful to the Minister for taking the time to listen to us and engage in such stimulating discussion. It has helped us all better understand each other and work collaboratively towards the best possible outcomes for all our futures." The full results of the NFYFC post-Brexit survey are available online but the survey will be left open to gather further opinions and thoughts for future meetings.